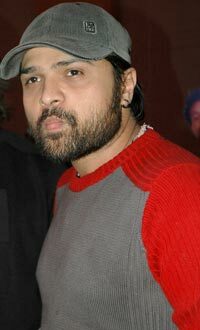 Fine, so I admit I’m a fan of Himesh Reshamiyya. As one of the Radio City RJ’s said, you either love him or you hate him. But I personally believe we all love him, after all he has won three awards (filmfare, zee cine and stardust) for best music director, best new musician etc etc. 1. Your look: For starters, you can wear the crappiest of clothes and sport the most unkempt look and get away with it without having to lie about being an iitian. Like that guy AD Khan on the second floor in my office – he has managed to convince HR that a blue P-Cap is acceptable office wear. 2. People Repellant: No odomos required, Himesh songs have an amazing effect on homo sapiens, especially those at the workplace. Watch as people make way for you every time they see you. No one dares to stand even 20 feet near you. You are feared and dreaded for being the worst office pest ever! 3. Bye bye Isabgol: Struggling every morning? Just ensure you sing “ooooooooooh huzooooooooooor” for a good five minutes, and you need never sing “jhalak dikhla ja…ek baar aaja aaja aaja” on the pot ever again. – suroor means….errr…I need to figure that out..meanings anyone? 6. The “ooh” factor: Just like how ‘Om’ is uttered at the beginning of a shloka/mantra, Himesh intentionally starts all his songs with an ‘oooh’. Its added nasality is actually a disguised ‘Om’; thus whether u like it or not, his songs r bound to be successes! 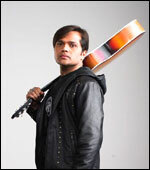 So step out and REALISE that Himesh is the next big stinging sensation of India. (Stinging bole to like Sting) Stop pretending to hate him and admit that you, like millions of others, are infected. HAHAHAHAHAH!! Hillarious! I loved you post! rotflmao – tera suroor is my current earworm…help!!! i’m becoming one of THEM!!! Himesh silkman .. whatever…he does not exist for me.. for now and forever.. unless he radically changes his music taste and shows some “talent” in the true <>non-nasal<> sense of the word. 😛i like the use of urdu in songs tho.. esp in dil se songs..aah.. now that’s music! hahaha!sarforosh is like anonymous punjabi said it is.punjabi opposite of madrasi!! !i love these jokes! !i love these opposites ill teach my kids. up-down, north-south, punjabi-madrasi… oh wait i dont think ill need to teach them, plenty “comedy programmes”by the way im also oppositish of madrasi. also forgot to mention the guitar he carries as an accessory.. man (??) cant even strum for sure. Who is this guy?He’s hot!Smooches galore to him! hey Autogato…he’s hot, until he nasalates (talks/sings/whispers) thru his nose… then he’s not!!! the guru of whinerock!!! old whine in a new bottle!!! sometimes i ask myself a simple Q: whine’t he just shut up??? oh no! Not whiny boy music! Singing like a whiny boy can cause a man to lose every last shred of hotness that he possessed. There are several singers like that on the radio – they’d be so much better if they’d just remain silent, and lovely to look at! Mmmmmm……Still, being that I am unfamiliar with his music, I still believe your boy is quite easy on the eyes. And a girl needs that sometimes, you know? 🙂Eye candy. Where can I hear his awful tunes? Great post Chits! You’ve written like a true fan, I’m so proud of you! Me too likes his music… Hehe!! Some of his songs are soo super romantic.. Sigh! Hey, Glad to have found this blog. I am big on Hindi songs, therefore what I learnt about the language could be downsized as mostly romantic in nature, while having no one to use it with.I have posted the question before to hindi speaking friends, and they’ve agreed that “suroor” also means some sort of intoxication, so mera tera suroor is used as “we are intoxicated”. My 2 cents.